Dr. Rodrigo Guerrero, a Harvard-trained epidemiologist and mayor of Cali, Colombia, is the first winner of the Roux Prize, a new US$100,000 award for using rigorous statistical evidence in designing public health programs. The award is the largest prize of its kind. Guerrero’s success in reducing the toll of violence and the number of homicides in his city, which historically has been one of the most violent in the country, has influenced other Latin American countries to adopt similar measures. The Roux Prize is given by the Institute for Health Metrics and Evaluation at the University of Washington and is named for David and Barbara Roux. David Roux is a founding board member of the institute. Launched in November 2013, the prize drew nominations from around the world in its inaugural year. Guerrero grew up in an Cali and graduated from the Universidad del Valle, a public university in Cali, before going on to earn a Ph.D. in epidemiology from Harvard. In 1992, when Guerrero was first elected mayor of Cali, he knew that violence was killing more people in his city than anything else. The homicide rate was more than 100 per 100,000. Around the same time, the homicide rate in the capital of Bogotá was about 80 per 100,000, still high by global standards but less than the rate in Cali. When Guerrero became mayor, he demanded data on the number and nature of violent incidents in the city. The police and the judicial system provided him vastly different counts. To arrive at more accurate homicide figures, Guerrero started weekly meetings with police leadership, prosecutors and judges, and researchers from the Universidad del Valle to gather information. He wasn’t just interested in lives cut short, but also in people injured by violence. He wanted to understand the overall burden of violence and began to rely on disability-adjusted life years, the central metric from the Global Burden of Disease project coordinated by the Institute for Health Metrics and Evaluation. Guerrero used scientific detective work to determine the factors driving violence in Cali. Surprisingly, drug traffickers were not the major culprits. Guerrero found that most homicides occurred on weekends, holidays, and Fridays that coincided with payday. He also determined that over one-quarter of homicide victims were intoxicated, and 80 percent of all victims were killed by firearms. He created a violence prevention program and limited the hours that alcohol could be sold. The alcohol ban drew opposition from business leaders and was initially instituted on a trial basis. The mayor also negotiated with the Colombian army, the main gun vendor in Colombia, to implement temporary gun bans during periods when the risk of homicide was highest, mainly during weekends and holidays. A study in the International Journal of Epidemiology found that the combination of alcohol and firearm restrictions led to a 33 percent drop in homicides in Cali. 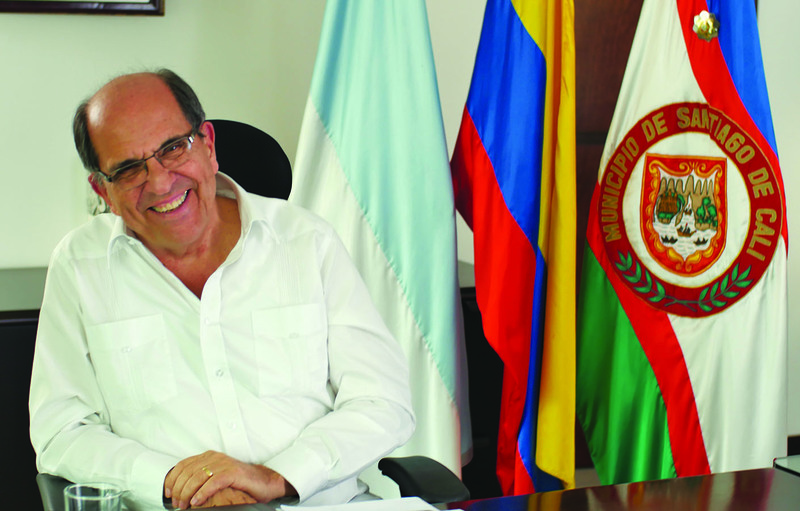 The mayor of Bogotá took a similar approach and found that homicides dropped in his city as well. Guerrero’s work has had an inflluence far beyond Cali as well. When he left office in 1994, he established the Pan American Health Organization’s Violence Prevention Program and also worked for the Inter-American Development Bank. The Bank provided its first loans for violence-prevention programs in Latin America and the Caribbean. Since then, more than 80 projects have received funding. The programs include efforts to reduce family violence and school violence, as well as regional initiatives to stem domestic violence. The programs take place in Chile, Peru, El Salvador, Brazil, Guatemala, Jamaica, Belize, Panama, Honduras, Nicaragua, Venezuela and other countries. In 2012, 15 countries in Latin America and the Caribbean committed to joining an Inter-American Development Bank-funded partnership to share and standardize data on crime and violence under the leadership of the Universidad del Valle program that Guerrero championed. “What Dr. Guerrero has done to drive down violence using a public health approach is extraordinary,” said Dr. Rafael Lozano, Director of Latin American and Caribbean Initiatives at IHME. “This is a powerful illustration of how Global Burden of Disease data can influence policy at the regional level.” Guerrero was elected to a new term as mayor in 2011 and continues his work against violence. The Roux Prize is intended for anyone who has applied Global Burden of Disease research in innovative ways to improve population health since the first publication of this approach in 1993. Global Burden of Disease research is a systematic, scientific effort to quantify the comparative magnitude of health loss due to diseases, injuries, and risk factors. In 1993, the original Global Burden of Disease study was funded by the World Bank and featured in its landmark World Development Report 1993: Investing in Health. Co-authored by Dr. Christopher Murray, now director of the Institute for Health Metrics and Evaluation, this study included estimates for 107 diseases and 483 nonfatal health consequences in eight regions and five age groups. Now an ongoing enterprise with annual updates, Global Burden of Disease is an international, collaborative effort with more than 1,000 researchers in over 100 countries. The Institute of Health Metrics and Evaluation leads this research. Results are regularly published in peer-reviewed journals and cover more than 300 diseases, injuries, and risk factors, by age, gender, and country. The latest updates through 2013 have been published for tobacco use, maternal and child health, obesity, HIV, tuberculosis, and malaria. The results are available in a series of online data visualization tools at http://www.healthdata.org/gbd/data-visualizations. See an infographic and a video on Guerrero's achievements. Details on the prize's nomination process are available at www.rouxprize.org. Nominees may come from anywhere in the world and include, but are not limited to, staff in government agencies, researchers at academic institutions, volunteers in charitable organizations, or health providers working in the community. Nominations for next year’s prize are due March 31, 2015, and the winner will be announced at an event in fall 2015.